Hi lovelies! How is your week going? During the holidays, The Captain, Charley Bird, Ava and I went to Montagu for a few nights. It was lovely to get away to a quiet place to spend some together time after what had been a chaotic few weeks in Stanford. We stayed in an old school hotel where we lolled around in the pool, ate old school food and did not much at all (i managed to get a mani and a pedi though!). 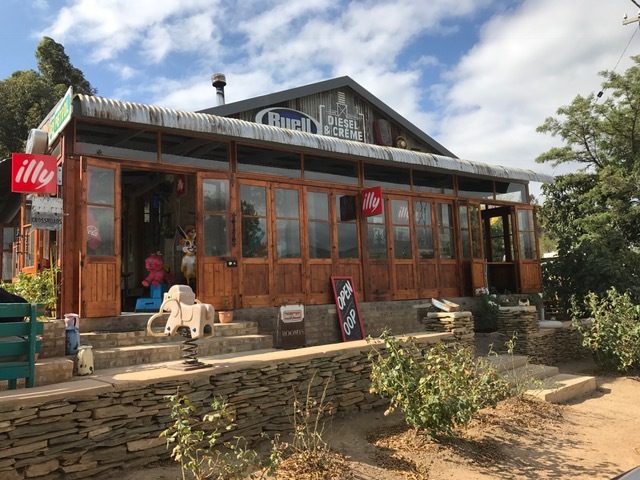 On one of the afternoons we hopped in the car while Charley and Ava were having a nap and took a slow drive to Barrydale. 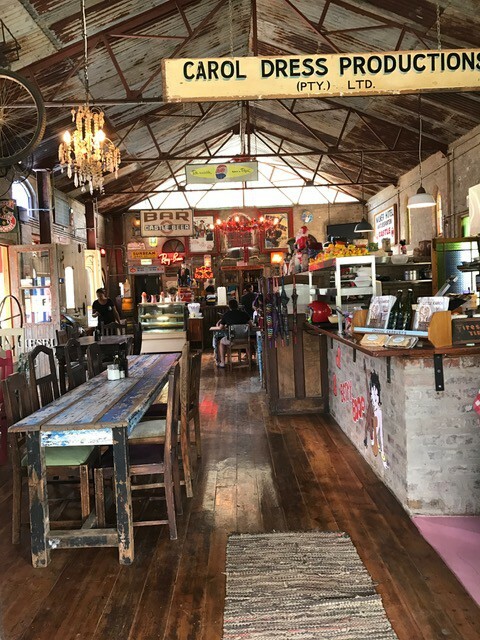 It’s a town i’ve always enjoyed visiting and i’ve always been inspired by the creativity of the people who call it home. 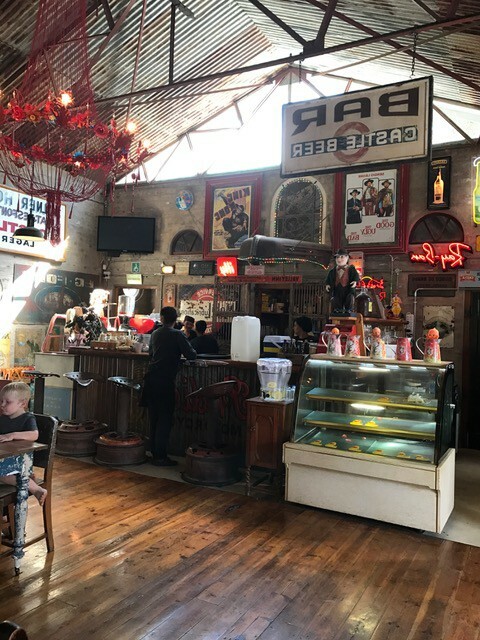 One of the reasons i wanted to visit was Diesel & Creme – a vintage, diner-esque eatery which has, according to legend, the best milkshakes around for miles. I can attest that is an understatement – they are absolutely incredible! 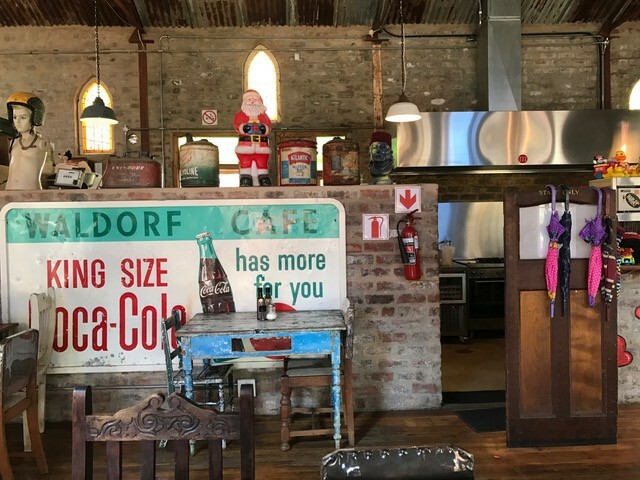 Diesel & Creme is crammed with loads of retro memorabilia and its attached to the Karoo Moon Hotel, i reckon its the perfect place for a big party! Ever since becoming pregnant with Ava i have had LOADS of milkshakes and a freakshake was on my list of ‘last foods to eat before starting to eat healthily’. 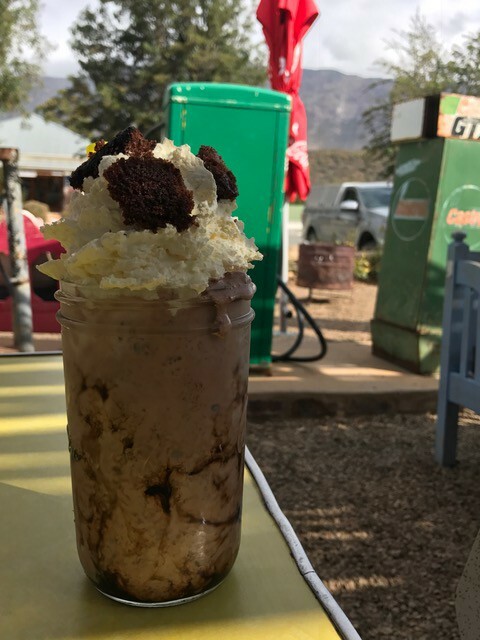 I ordered a chocolate shake (can’t remember the name) – it consisted of ice cream blended with chocolate cake and topped with cream – OMG it was insane!! 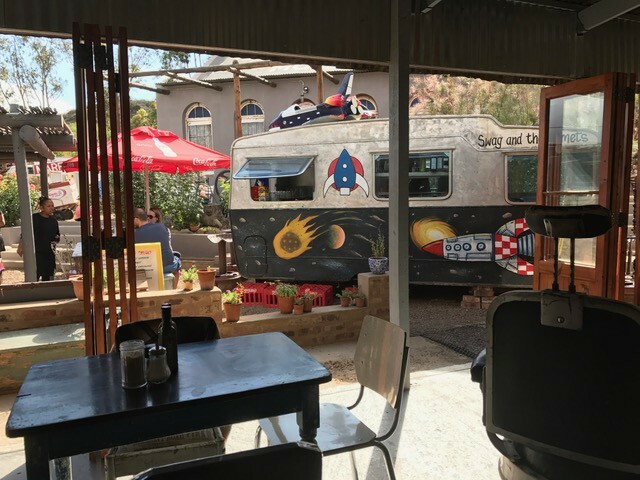 Diesel & Creme is a seriously cool spot – they also serve diner-inspired food (the burgers looked really good) bu we arrived to late for any of those, so stuck with the milkshakes. 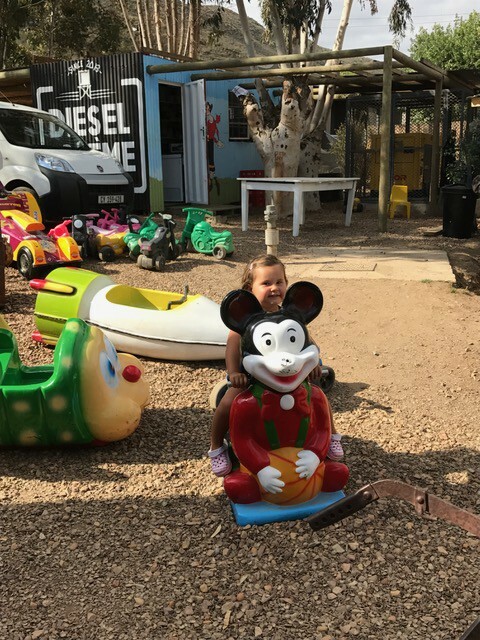 Trust me – Diesel & Creme is a MUST visit when you’re next in this part of the world. They also have the most yummy Chocolate mousse cake! 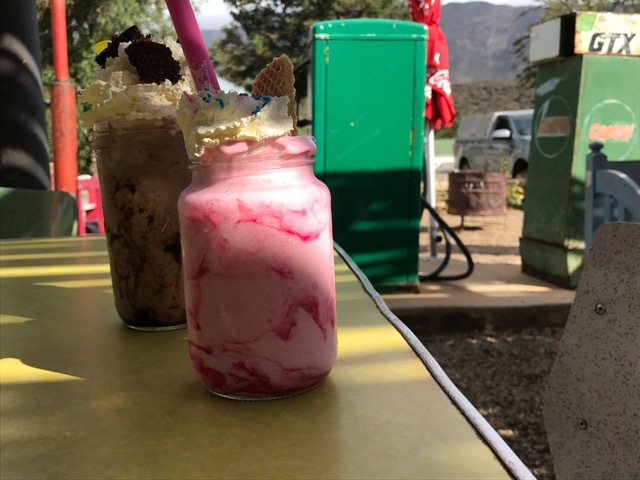 Hoping to have a mini escape in Barrydale later this year and will definitely order a milkshake this time.